If you are looking for easy baby activities you will love this super simple peeling tape baby activity. (It's a great toddler activity too!) This fine motor activity is quick and easy to set up and develops so many skills. It encourages babies and toddlers to use and develop their pincer grasp (thumb and one finger), works on hand-eye co-ordination and it's amazing the amount of concentration that peeling tape requires. Not to mention it will keep your baby or toddler busy for long enough for you to grab a hot cup of tea! 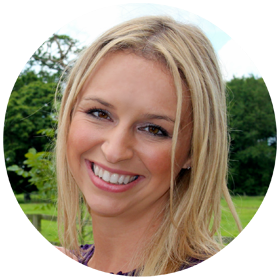 I also love our baby sensory fort full of sensory baby activities! 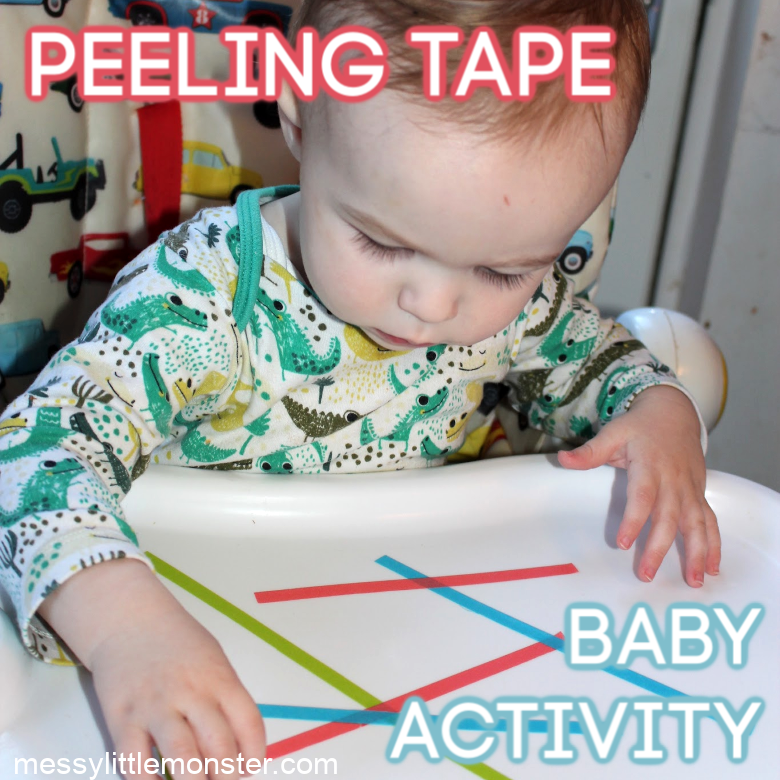 Peeling tape is such a fun and easy activity to set up for babies. 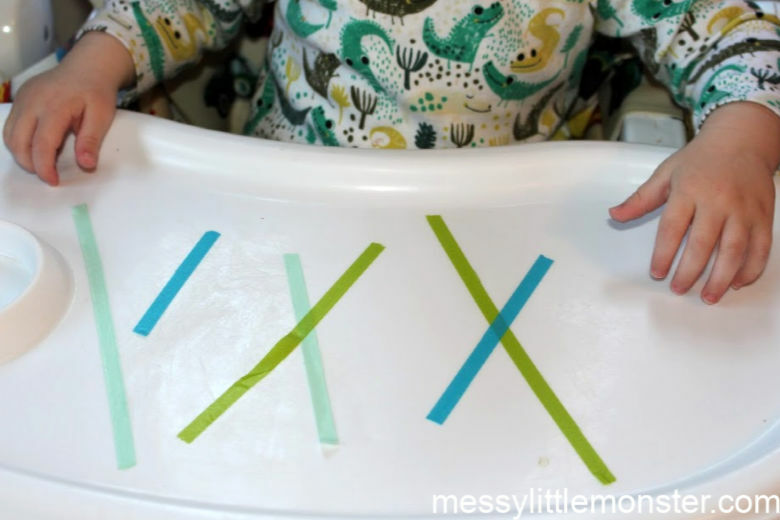 You can set this peeling tape activity up at a table, on a highchair or even on the walls, floor or windows! It would be fun to mix it up a little. Fine motor activities like this get babies and toddlers little hands and fingers working. By the age of one most babies should be able to use the pincer grasp to pick things up, so this is a great activity to work on that skill. 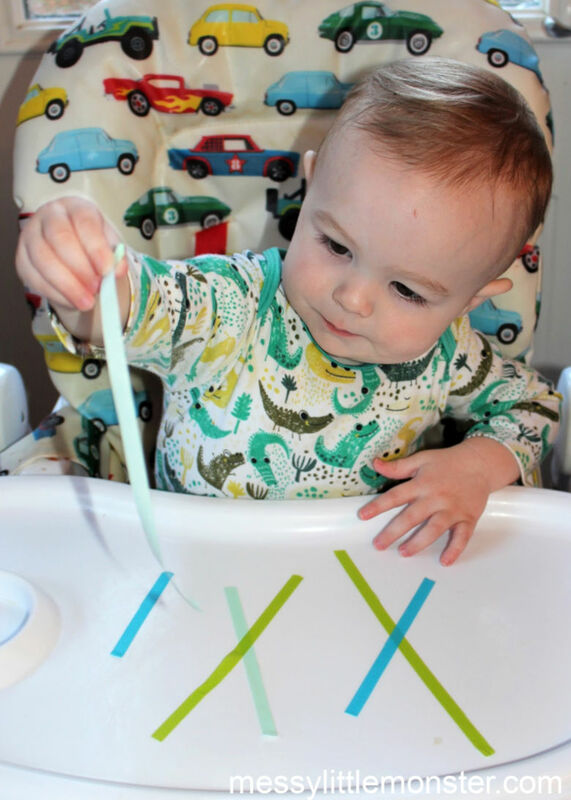 I love using this peeling tape activity with Oliver while he is in the highchair. It is a perfect little activity to do in those few minutes that he is waiting for me to prepare his lunch, wash some dishes or even just grab a cup of tea. 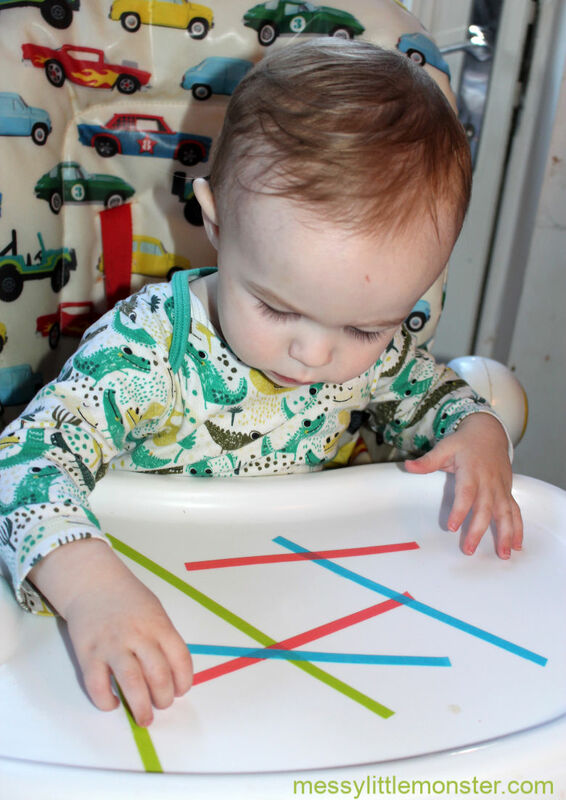 It keeps him busy and I love that it is helping him to develop his fine motor skills too. It is amazing the amount of concentation this simple activity takes! See this peeling tape baby activity in action! We are a participant in the Amazon Service LLC Associates Program, an affiliate advertising program designed to provide a means for us to earn fees by linking to Amazon and affiliates sites at no cost to you. 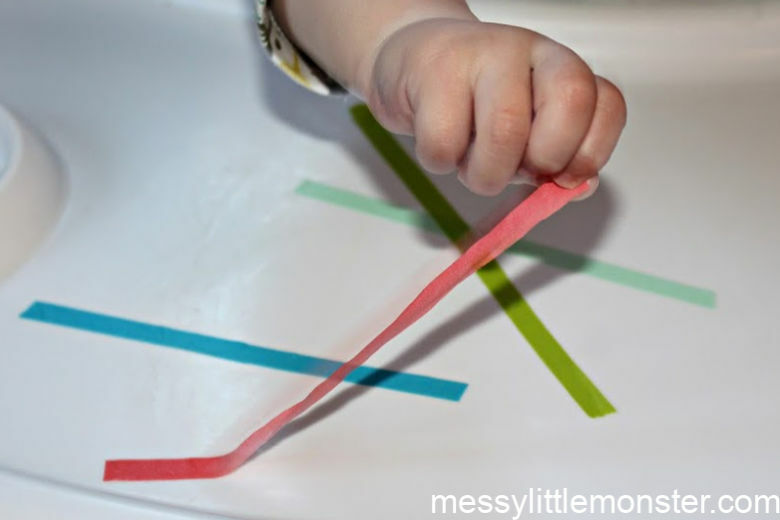 To set up this baby activity cut strips of coloured tape up and stick them to your chosen surface. We used a highchair but you could use a table, the floor, a window or a wall. Invite your baby to peel off the tape. They may need you to show them what to do, but chances are they will start trying to peel off the tape themselves. Experiment with sticking the tape down in different ways. Put it in straight lines, overlap the tape or even make a picture! As your baby or toddler peels the tape off just look at the concentration on their face. Oliver (11 months) loves this activity and he uses his pincer grasp well to peel off the tape. We hope that you have fun trying this peeling tape fine motor activity with your baby or toddler. 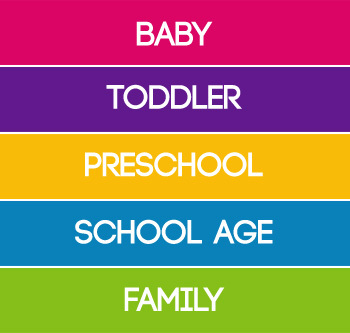 I love easy baby activities like this that take only minutes (or even seconds) to set up!